I ordered over the phone. The gentleman who helped me was very professional and helpful.. - Cynthia J. Our Portrait of Love is a work of art, just like she is. 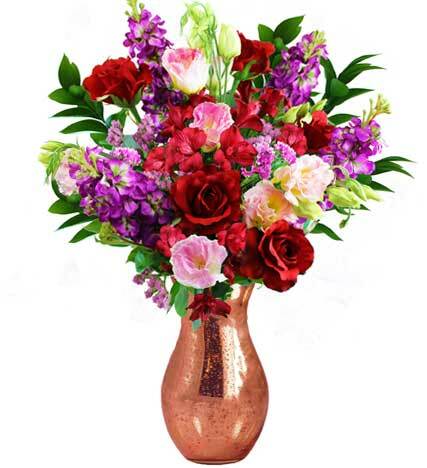 Surprise her with this richly hued arrangement in a lovely pink vase.